Swine flu deaths have soared to 663 across the country while number of people affected by it breached the 10,000 mark as the virus spread to new places like Nagaland. The figures show that there is no let-up in the impact of the virus as it claimed 39 more lives between February 16-17. 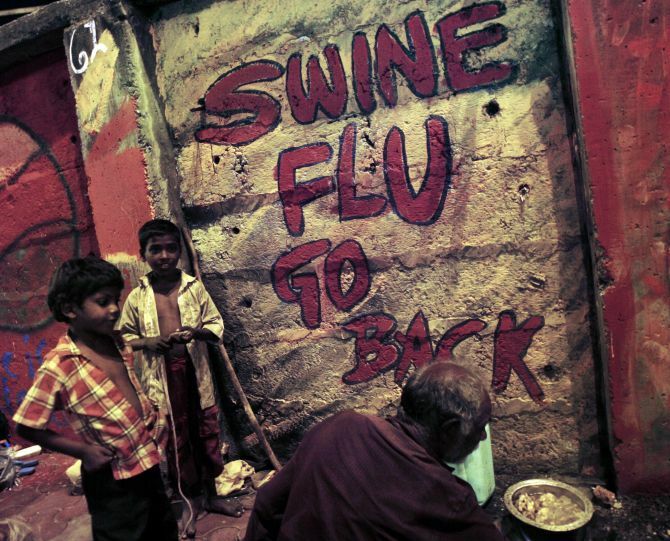 Health Minister J P Nadda said there was no dearth of medicines and hospitals were equipped to deal with swine flu. The ministry said states have also not made any demand regarding drugs, diagnostic kits and other wherewithal to deal with the issue. Central government figures show that 10,025 people have suffered from H1N1 virus so far this year, a new high in recent years. There also appears to be some anomaly in figures reported by the Centre and reports coming from states. While the central data shows only three persons contracted the virus in Jammu and Kashmir this year, a senior health official from the state said at least one person had died due to it while over 70 people have tested positive. “There have been two deaths so far of patients who were infected with the H1N1 virus and 71 more patients have tested positive for the virus and are undergoing treatment,” Director, Sher-e-Kashmir Institute of Medical Sciences, Showkat Zargar said in Srinagar. He said while one death was confirmed to have occurred due to the virus, another female patient had critical cardiac ailments as well and may have died of those ailments. Nagaland reported its first confirmed case with a woman testing positive for the flue. Rajasthan, Gujarat and Madhya Pradesh are the worst-hit states with 183, 155 and 90 deaths reported from there respectively. In Punjab, the toll has risen to 24 while in neighbouring Haryana, the total number of deaths is 17. Six people have died in Uttar Pradesh where the number of positive cases has touched 114. Meanwhile, AligarhMuslimUniversity authorities said eight confirmed cases have been reported from the varsity’s community, thus justifying the suspension of all classes and academic activity at the campus till February 25. Stepping up its efforts, the health ministry has started a new testing facility at All India Institute of Medical Sciences while a round-the-clock monitoring cell is in operation at the National Centre for Disease Control. “Teams of experts from the health ministry have visited states of Telangana, Gujarat and Rajasthan to extend technical support. Two such teams are being sent today to Madhya Pradesh and Maharashtra,” it said in a statement on Wednesday. The ministry has asked states to study patterns in mortality such as which areas, age groups and section of people have been most affected, in addition to deaths due to co-morbid conditions. Is Mamata aide Mukul Roy looking for BJP's protection?